Scott Sunderland may not have been born in Belgium, but the 52-year-old Australian has called Flanders home for much of his adult life. Moving there as a young professional, he was quickly adopted by the tight-knit cycling community in East Flanders, and it’s here where he has finally settled. The co-founder of Australia’s Cadel Evans Great Ocean Road Race, Sunderland was recently named general director of the Flanders Classics, a move that has catapulted him into the role as one of the sport’s preeminent race directors. 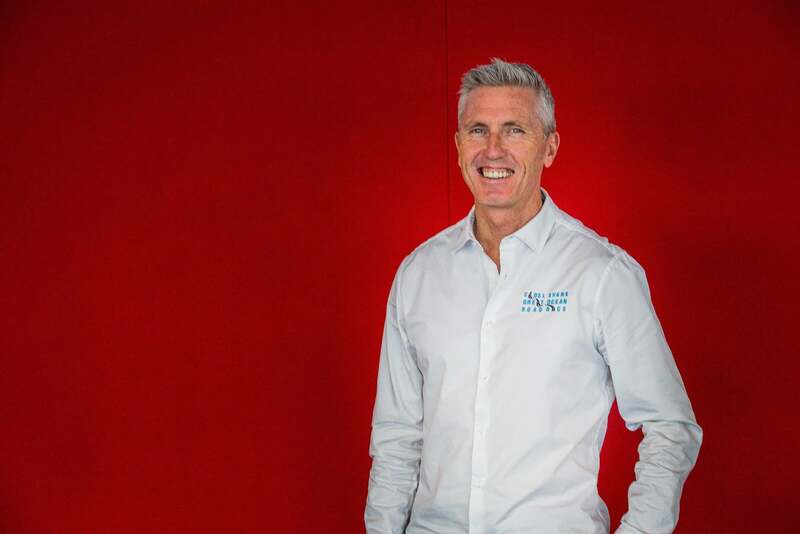 We caught up with Sunderland in Geelong, Australia, at the Cadel Evans event to discuss his attachment to Belgium, his various careers and his vision as a race director. PELOTON Magazine: Scott, you make a good argument for being the most Belgian of the Australian cycling community. During your own 15-year racing career you rode for two Belgian teams and you have lived there for years. And now you’re the overall director of the eight races owned by Flanders Classics. Scott Sunderland: Yeah, well I turned pro with the Dutch TVM team in 1989. At the time I was living in Switzerland. But it was very hard to live on a neo-pro salary in Switzerland so, with the help of one of the soigneurs on the team, I moved to Ninove in Belgium, which was for many years next to the finish of the Tour of Flanders. I didn’t really know anyone there and I didn’t know that another Australian rider, Allan Peiper [also a candidate for most Belgian Australian], lived close by; but it quickly became my home. I liked the way the Belgians were so open and I quickly formed some really good friendships. And having access to English-speaking television and films was really helpful, because I was really on my own. Eventually, I met Sabine, my future wife, who’s Flemish. We met in 1993 and by 1994 we were married and she and her family have been a massive part of my life ever since. Sabine is from Zottegem, so we lived around there for many years while I was still racing—it was great for her to have all of her family around when I was on the road all the time racing. And don’t forget, back then we would race like 130 days a year. That’s very different than today. After racing we decided to move to Ghent, which has been just an ideal situation for us, and we’re pretty damn happy. We live right in the center so I can pretty much walk or ride my city bike around. It’s great! You can walk anywhere. We have an abundance of museums and theaters and concerts, not to mention a massive amount of coffee shops! PELOTON: And do you still get out and ride some? Sunderland: Oh yeah. I get up at 5:30 to 6 every morning so I can be online with Australia, and then I have a bite to eat before going out for a ride with the Schelde Peloton—that’s a group ride. Schelde is the river that runs from Kortrijk to Oudenaarde up to Ghent and then to the seaside. It’s just a group of riders that has really grown over the years, and anyone from Johan Museeuw, Dirk De Wolf might show up, along with a whole bunch of other riders. There is like a 25-kilometer loop. Sometimes we just ride, but sometimes there are some pros there that just want to smash it out at 50 kilometers an hour. We’ll have anything from 10 to 50 guys show up. Everyone is welcome and it’s just plain fun. And then I go back and work for another five or six hours before cooking for the family, which I absolutely love doing. I love being there when the kids get home from school. PELOTON: You’ve created a unique race with the Cadel Evans Great Ocean Road Race really, one that is open to a lot of different kinds of cyclists. Sunderland: Well, I wanted to create a course that suited all of the riders in January. I wanted to make a race that had a little bit of everything so a sprinter and climber can both come and race here. And then it had to be an event that was exciting for television. And I think we have done that. A sprinter can win here just as much as a climber or a pure classics rider. It’s a modern one-day classic. It really works. There are great crowds as we are getting over 100,000 people standing along the circuit. 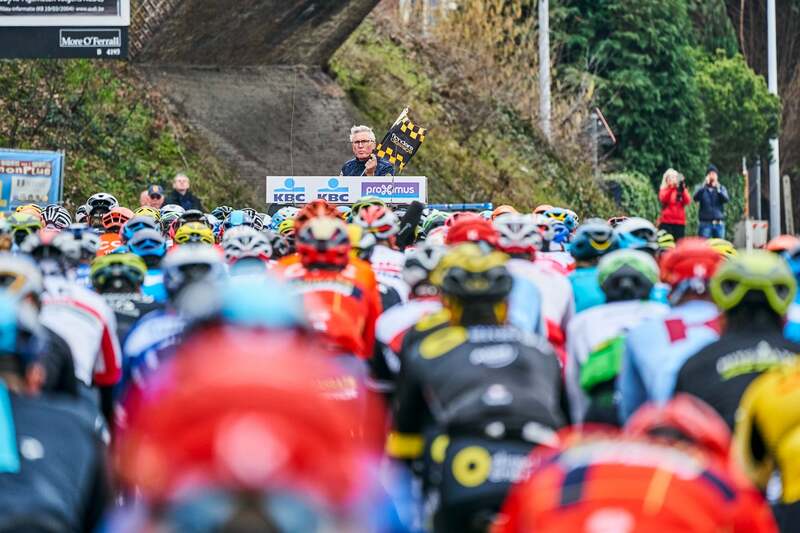 PELOTON: And now you have become race director of so many of the greatest races in Belgium with Flanders Classics? Sunderland: Yeah, well it all happened very quickly. I knew Wouter Vandenhaute [the owner of the Tour of Flanders and founder of the Flanders Classics brand] when I was racing, as he was already very successful in television and media and he owned several production houses. It was his idea to bring together so many of the Belgian races—which now make up the Flanders Classics—and helped make them fit better in a unique package, because some of the races were getting a bit overlooked. PELOTON: It is amazing the way the stature of the Belgian classics has grown in recent years. A lot of that is because of the way Flanders Classics is able to organize and promote the events, work with the tourism office and really put together a unique package. Sunderland: Exactly. First, they asked me to come on board last year for the Great War Remembrance Race in August, which is just a gorgeous race. It is held in the summer, when the area is much more attractive than in the springtime, when so much of the area is covered in mud. It offers a different view of Flanders. It is so picturesque at that time of year. And then there is just so much history there. Every inch of that race is covered in history. It’s just beautiful. And it is very emotional, as it remembers the fallen and the sacrifices that were made [in World War I]. Regarding the spring classics, they have managed to reshuffle the order of the events in recent years and helped certain events really grow. After Milan–San Remo, the classics riders come back to Belgium for Ghent–Wevelgem, one of the first big monuments [though not officially one of cycling’s five monuments, it remains a top prize] before Dwars Door Vlaanderen and straight into the Tour of Flanders. Then we have the Scheldeprijs on the following Wednesday, which helps lead up to Paris–Roubaix. After Roubaix, you have this shift from the cobbles to the Ardennes classics—and De Brabantse Pijl helps transition into that as it is down on the southern edge of Flanders and hillier. It is our final race before passing it off to the real Ardennes classics. All of these races are WorldTour. Each course is designed to write a unique script for that race and that is very important. As a race director, I try to make a race route that is like a script. On race day, the script can go left or right at certain points. There is not one outcome, but there is a script that allows for multiple outcomes. It’s exciting and I think we are seeing more exciting racing!